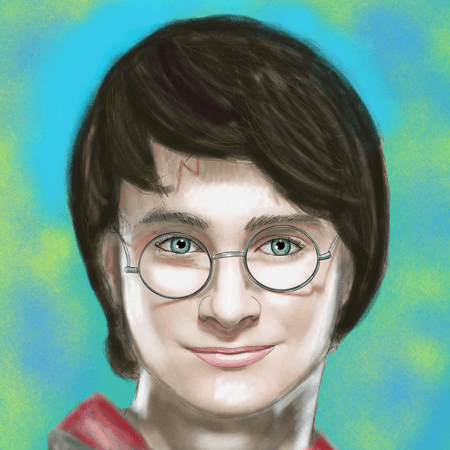 Learn how to draw Harry Potter (or Daniel Radcliffe) with the following easy step by step drawing tutorial. 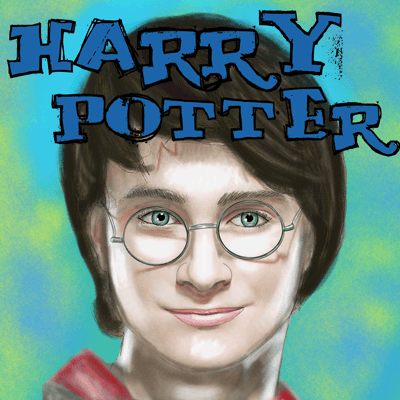 I will show you how to draw Harry Potter’s portrait in the following instructional steps that will guide you through the entire process. 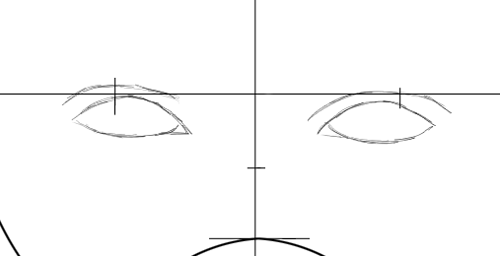 Now draw the eyes….notice that to space the eyes evenly, one eye fits in between them. 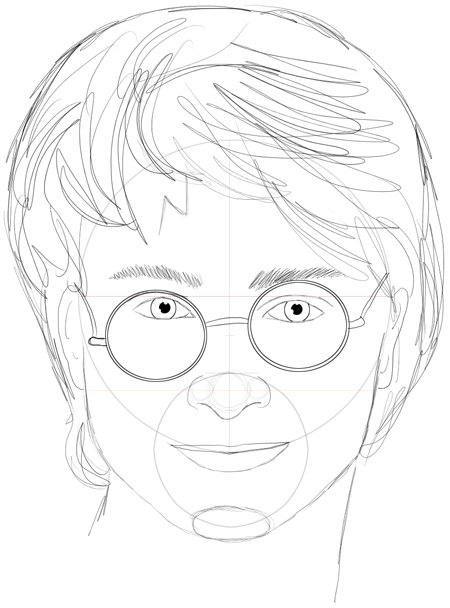 Harry Potter have a very nicely even curved upper line to his eyes….notice that the inner eye is lower down than the outer eye. 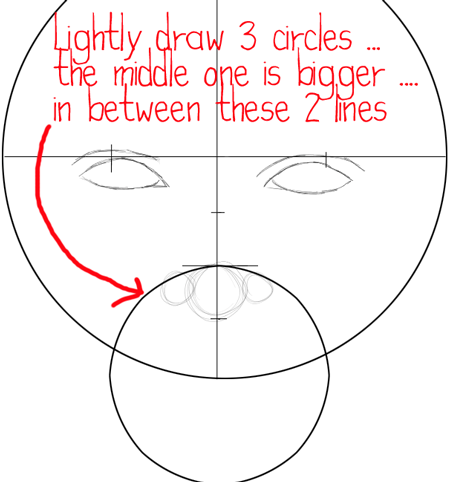 Now draw the upper lid of the eye…it mirrors the upper line of the eye. 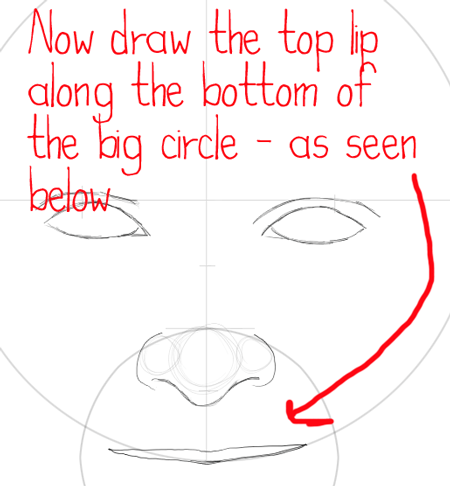 I have never drawn any person’s face who had such flat lips…normally there is more of a curve to the upper lip. 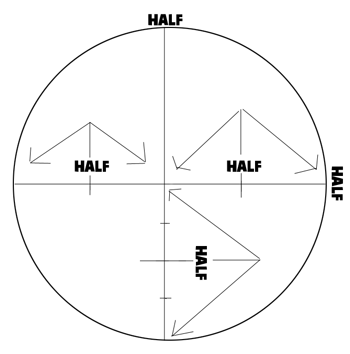 Either way…draw it at the bottom of the big circle. 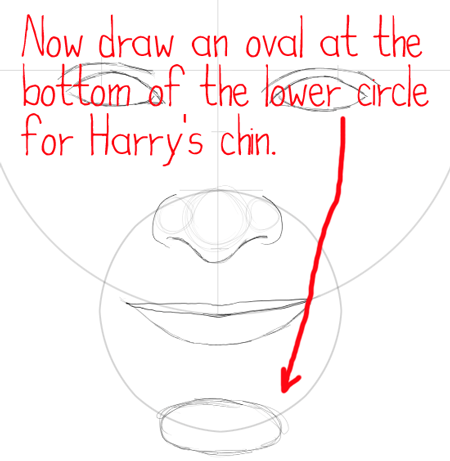 Now draw an oval at the bottom of the lower circle for his chin. 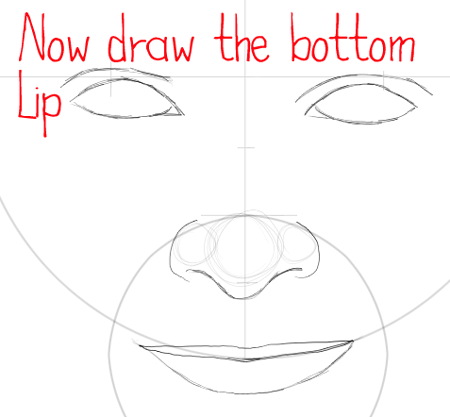 Now draw the sides of his face down to the chin. 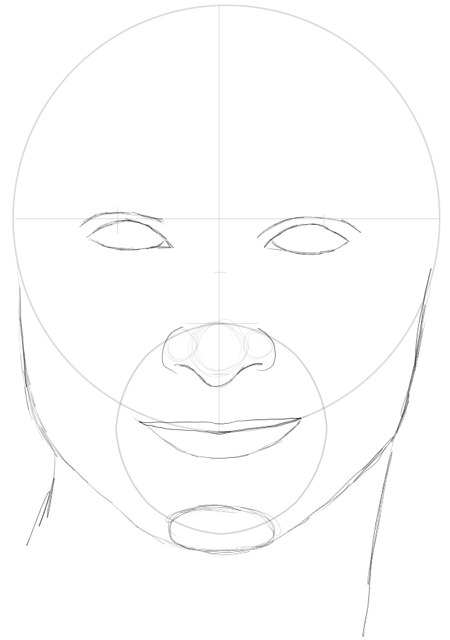 This isn’t a completely straight on pose of the face…that is why you see more on the left side of the face. Also draw the neck. 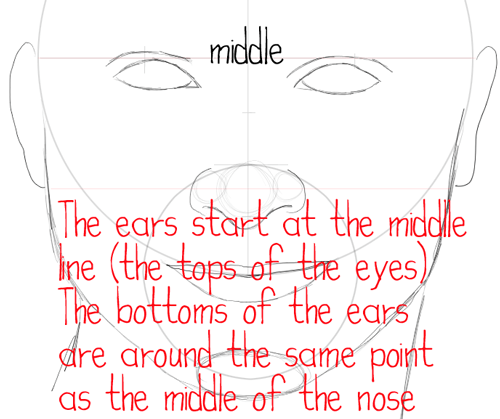 Start drawing the ears at the middle line that you drew in step one of this tutorial. Then draw the ears down to the middle nose area. 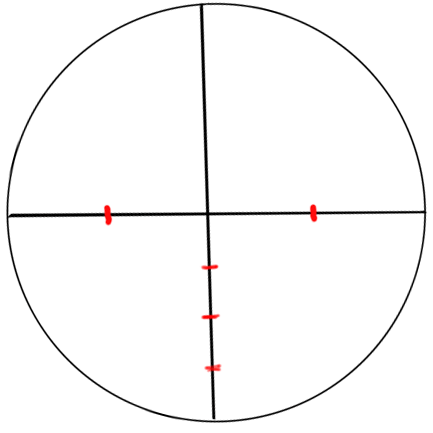 Now draw the glasses by drawing 2 circles around each eye….as pictured above. 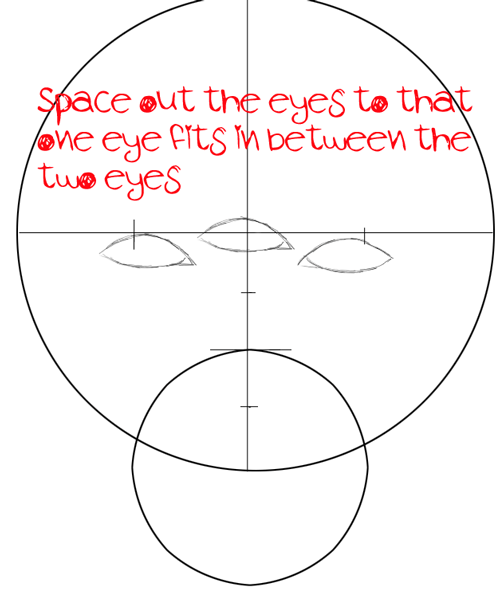 Draw a circle in each eye. 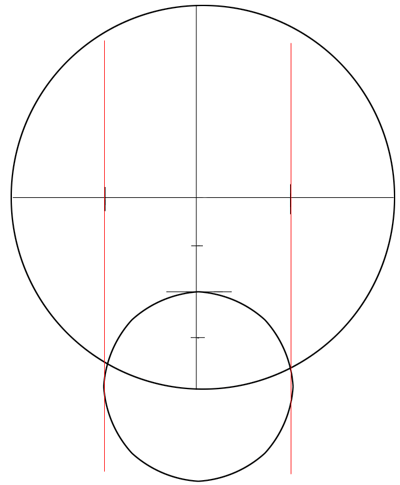 Then draw a smaller circle for the pupil of the eye. Draw 2 very small circles inside the pupil…then color in the rest of the pupil black…and keep those 2 small circles white for a highlight of the eye. Draw the details of the glasses too. Now erase the parts of the eyeball that went outside the edges of the eyes. Now draw Harry Potter’s hair. Now here is what the drawing of Harry Potter (Daniel Radcliffe) looks like before coloring him in. I didn’t draw the scar on his forehead because I am going to put it in when I color him (as seen below)…you can just draw a capital letter ‘N’ like shape on the top left of his forehead if you don’t want to color him in. 😀 haha, that’s funny. Great job with the tutorial! I’m having a tiny bit of trouble with the ears. I’m drawing this right now all the steps are awesome the only thing is if I erase the ears anymore, I’ll rip the paper! XD Can you help? ha ha I am so impressed thats me! This is a pretty great drawing. WAIT…. admin, are you a girl or a boy? I didn’t even think you ask. Awsome but still can’t do it! Try again and you might surprise yourself! Thats great! Glad it helped you! This was great, I got a pretty good drawing! You should do some other characters! THIS HELPED SOOO MUCH THANK UU!!! thank you sooooooo much!!! 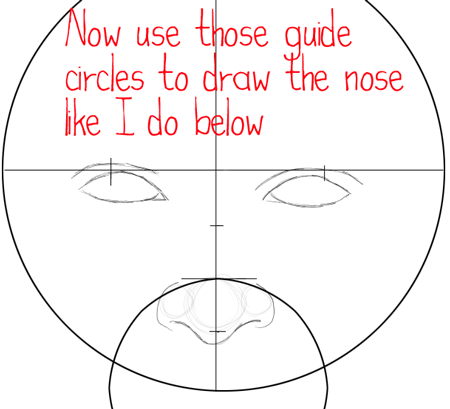 this really helped because I cant draw so well and it came out cool. i love it !! i hope I get an A!! Thnak you! You saved me! I did this for my art homework and it really came out suprisingly good!